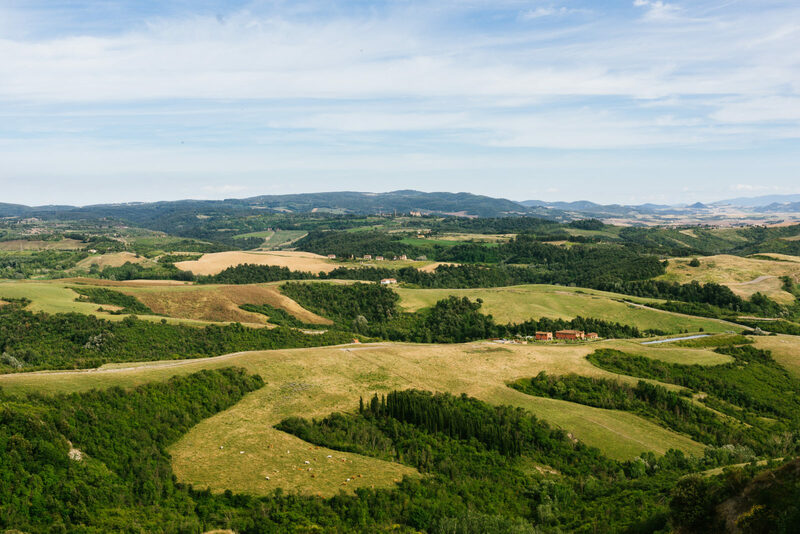 There’s no cell phone service on this winding Tuscan road. The trees bow above us like a cavernous canopy protecting our route from the midday sun. It would be easy to get lost up here, an hour’s drive from what feels like anywhere. And for the owners of Villa Lena, the hotel and artist’s residence, that was all part of the allure. Opened in 2013 year by Lena Evstafieva, her partner Jerome Hadey, and Lionel Bensemoun, the villa is in fact several buildings, joined by a common theme—where ancient bricks meet modern artists. There are self-contained apartments, hotel rooms, vast communal areas, a restaurant with a chef-in-residence on rotation and a glassy pool with a panoramic view. Set in 500 hectares of woodland with olive groves, vineyard and impressive vegetable garden, the villa has, for the past three years, served as a not-for-profit artist residency. Each summer Lena, who still works as an art consultant, and her partner Jerome, a music producer, invite international artists, musicians, chefs, designers, architects and even foragers to come and spend a month or several. Once here, they engage in workshops, talks, exhibitions, performances—and day-to-day, find the tranquil space an inspiring place to create new work. “I was secretly dreaming of being able to come and cook in Italy for a summer,” says chef in residence Margot Protzel. Bounding up to greet us, Giulette and Pan Pan (the in-house brown and white and ever-so-fluffy Lagotto truffle-hunting pups), lead us down to the back lawn for a welcome prosecco with all the current artists in residence. As we will come to discover, each specialize in a different discipline (eliminating any sense of rivalry) and will work both independently on projects as well as collaboratively over the coming months. “I don’t think we’ll ever really be finished working on Villa Lena,” says co-founder Jerome Hadey. Thank you, Lena, Jerome, Katy and all at Villa Lena for a wonderful glimpse into your hotel and art foundation. Check out their website for more information on the hotel and to book a stay. 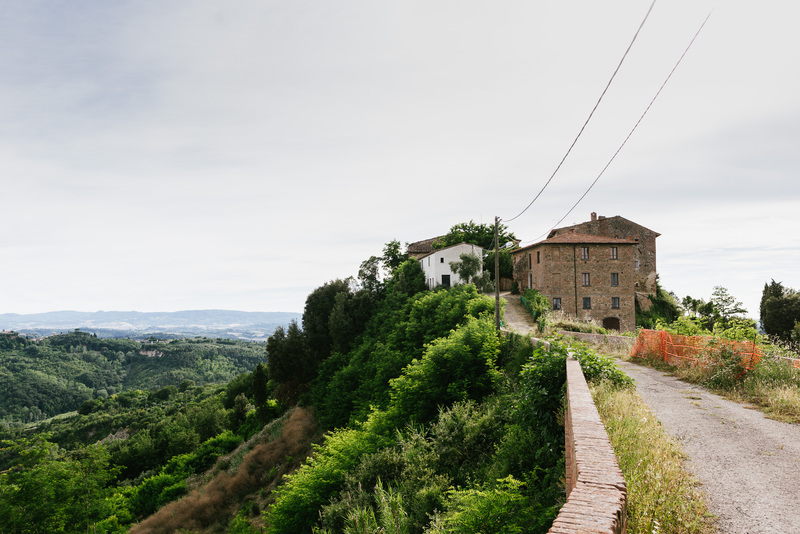 For more from Tuscany, see our FvF road trip feature where we traveled from Berlin to Pienza and back here. 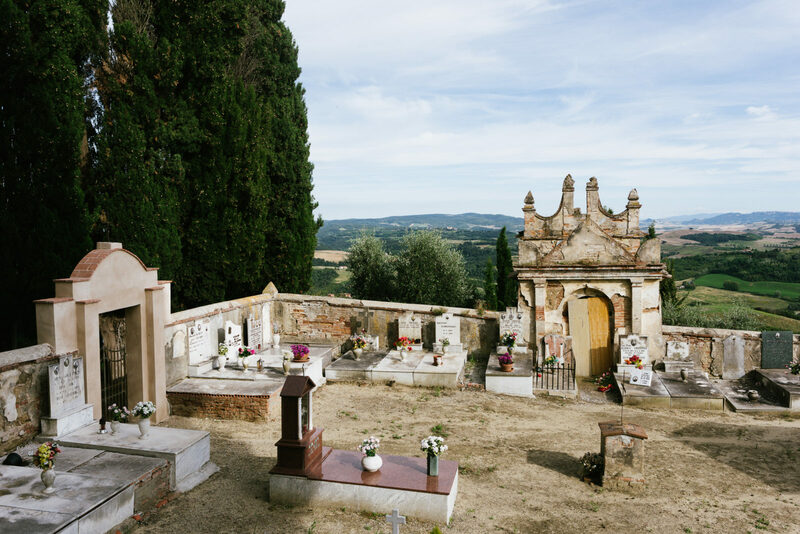 We caught up with three of the artists residing at Villa Lena in 2016 to learn more about their creative approach and what brought them to the Tuscan hills. Discover more in chapter two. 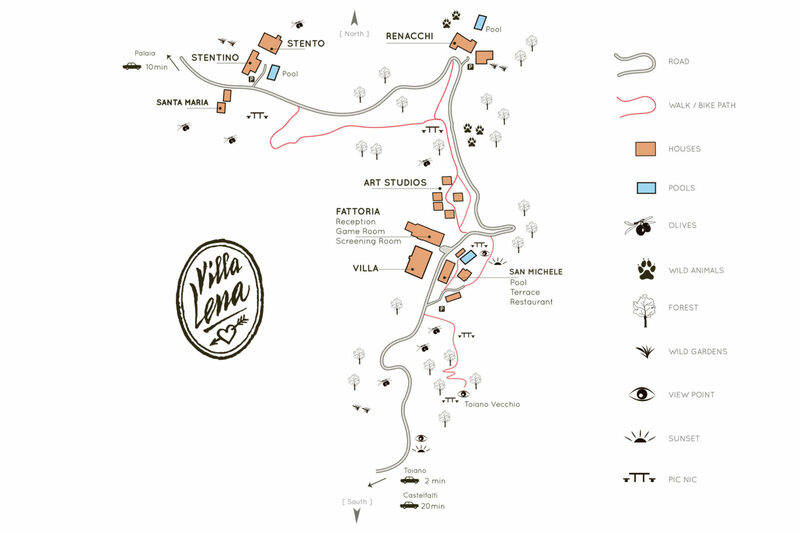 And to find out more about the Villa Lena residency program, please visit their Foundation website.